MMORPG Game On Podcast: Challenge Accepted! Just a quick update on a new project I’m involved in. 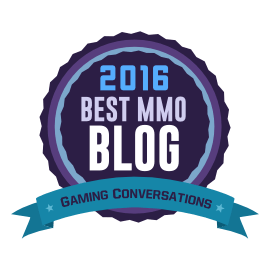 In case you’ve missed my tweets on the subject, I was recently asked by Jessica Cook (of Herding Cats and Cat Context Podcast fame) to co-host MMORPG.com’s Game On news podcast twice a month. This podcast is the official MMO news show of MMORPG.com , so it’s kind of a big deal, and of course I was very excited to even be considered. At my request, I did a trial show to help me determine whether another podcast will fit into my schedule. That recording went well, so I guess I’ll be appearing on the show for the foreseeable future! You can check out Game On on the MMORPG show page and subscribe from there!